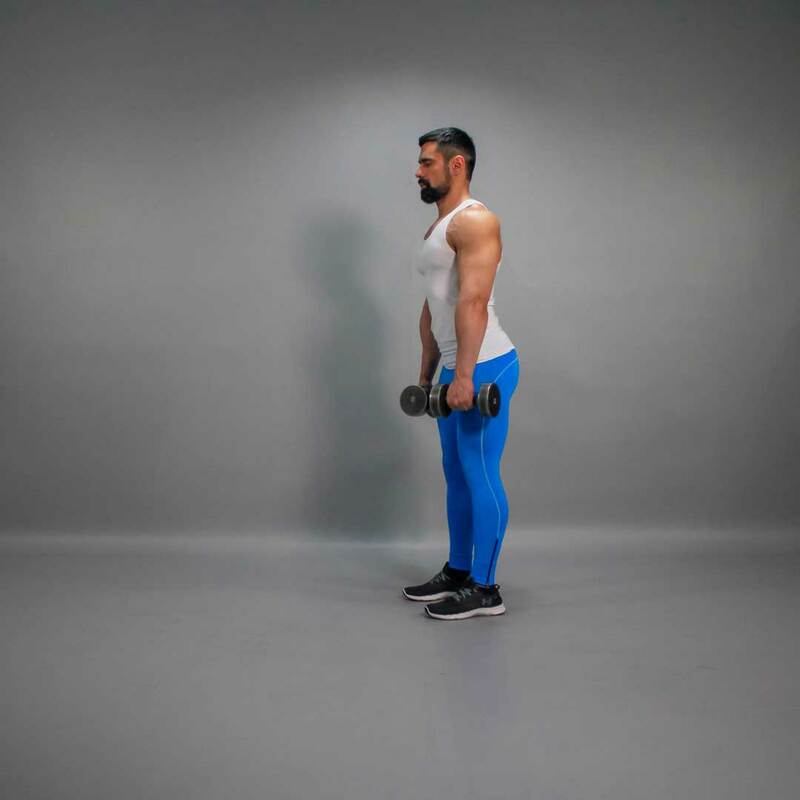 Take dumbbells and hold them in extended arms at your sides. Place your feet at shoulder-width or narrower. Bend your knees slightly. Arch your lower back and push the pelvis back. This will be your starting position. Without bending the knees more, lean and lower the dumbbells as you inhale. Ensure that your arms remain straight and your lower back arched. Control barbell movement, it should be smooth and slow. Exhaling, straighten your torso, returning to the starting position. 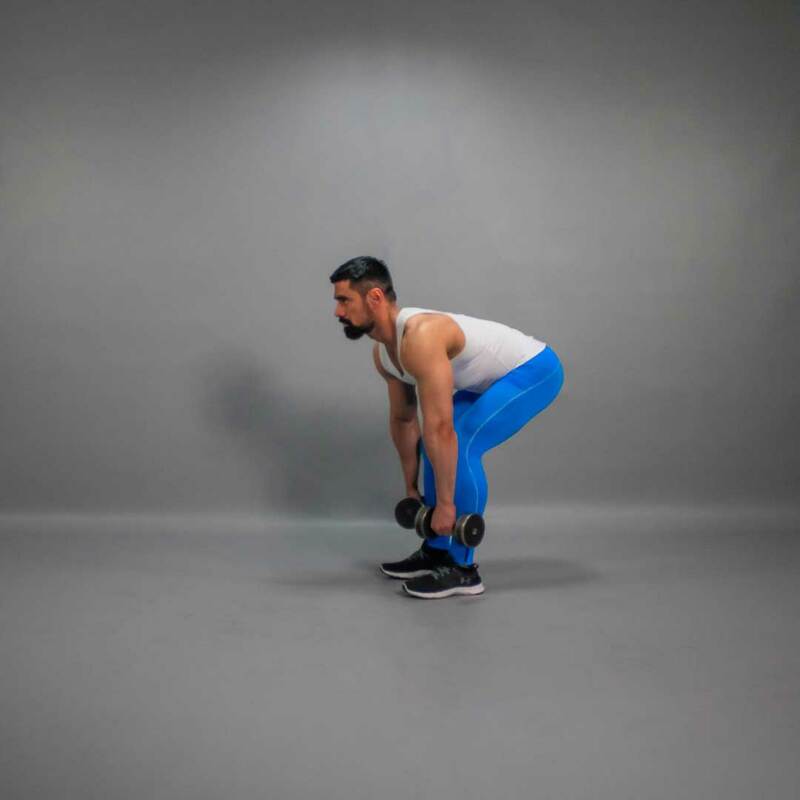 Keep your lower back arched throughout the entire exercise. Precautions: It is not recommended to perform the exercise for people with lower back problems. Please, carefully watch that your lower back is constantly arched. Otherwise, there is a risk of injury. Avoid jerks or sudden movements.